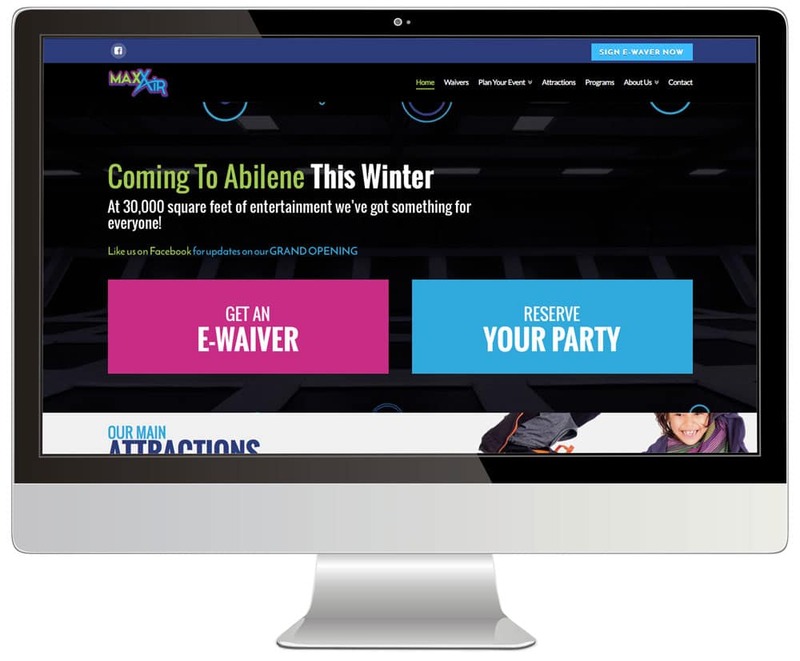 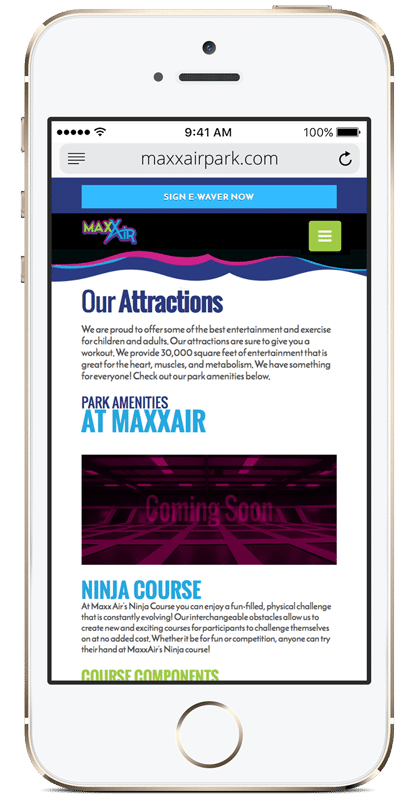 MaxxAir Trampoline and Obstacle Park brings innovative obstacles and activities to the Abilene community. 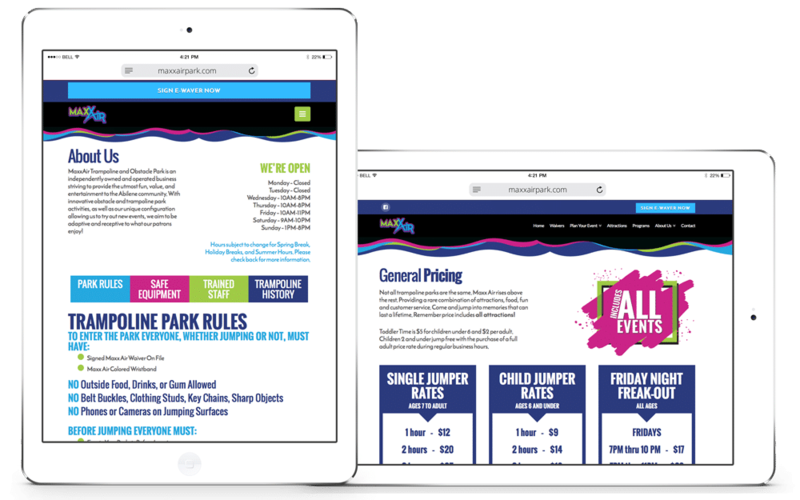 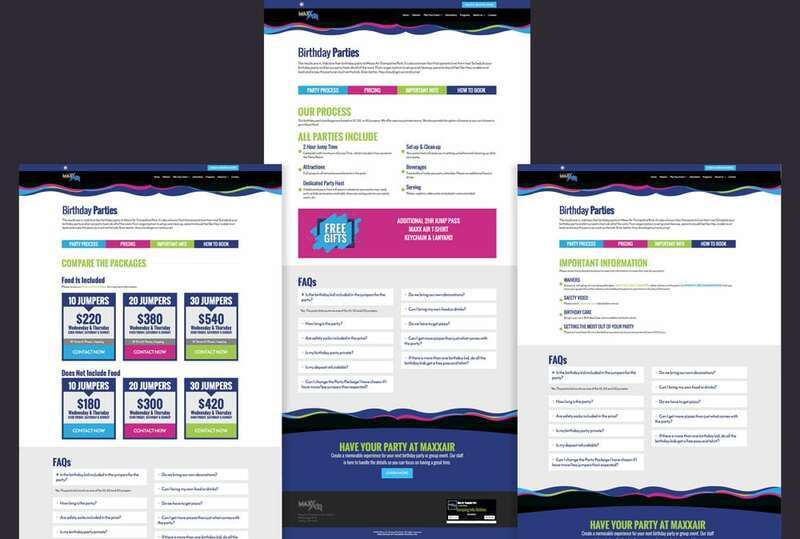 A modern, responsive website was created with the ability to sign e-waivers and schedule parties. 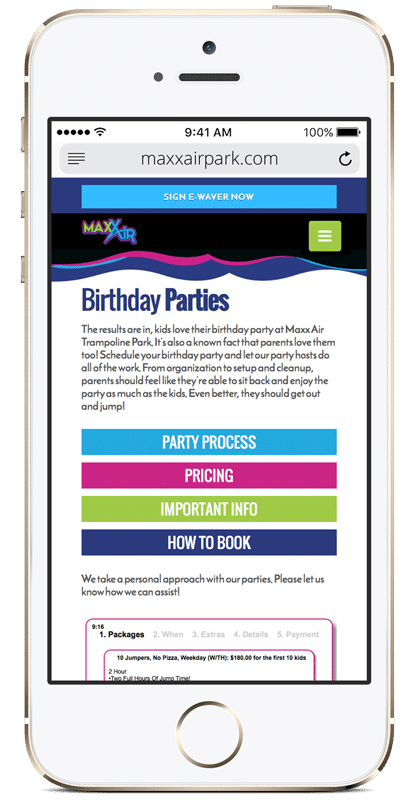 The desire for an eye catching design was a breeze with the pallet chosen by Maxx Air. 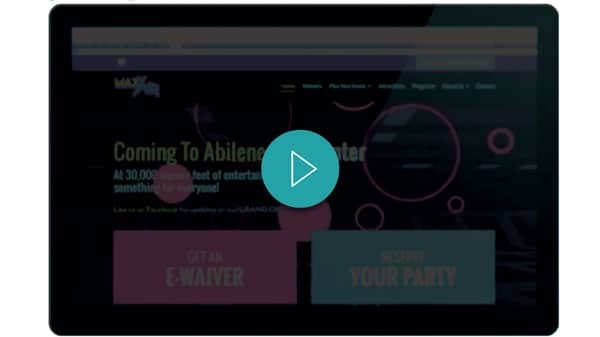 A fun video slider greets the guest with the two most requested items front and center.